Commercial truck tires are designed for the highest levels of durability and performance on the road, but it’s important that your team has a clear understanding of how to get the best from your tires and protect the safety of your drivers. 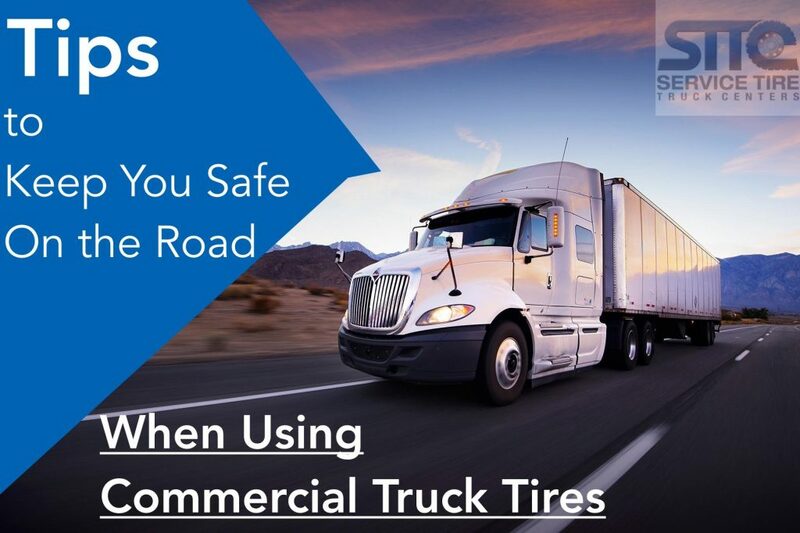 Our team at STTC has significant experience in working with commercial truck tires, and within this latest post, we’re presenting our tips for staying safe on the road. To ensure your commercial truck tires perform safely on the road it’s important that you follow a pre-trip inspection protocol. This protocol should include checking tire pressures, listening for air leaks and completing a visual inspection of the tire to check for bulges and other signs of disrepair. Be sure to check the inner sidewalls, as well as the outer, even though they are harder to inspect. One of the leading causes of damage to commercial tires is debris in the road. Make sure your drivers are trained to pull over if they experience an impact, and to check for damage to tires, wheels and other tractor and trailer components. This can help to ensure any tire damage is fixed quickly and doesn’t lead to subsequent problems on that run. During regular stops on the road, make sure that your drivers analyze the tread depth of their tires. Tires with a low tread depth are more likely to blow out on the road, causing significant damage to the vehicle and potentially leading to safety problems for the driver and other vehicles as well. The minimum required tread depth for a steer tire is 4/32 of an inch on each major tread groove and 2/32nds for drive and trailer tires. Another leading cause of damage to your tires that may cause a catastrophic failure is low air pressure. within your tires. The air pressure within your fleet’s tires should be checked regularly to ensure optimal performance. This is particularly important during cold weather when the tire is likely to lose air pressure. We know that low air pressure causes blowouts and simply checking vehicle tire pressure regularly can help your fleet maintain the tire and the vehicle effectively for years to come. It’s critical to take care of your commercial truck tires by following the latest guidance on commercial truck tire maintenance and road safety. Our team at STTC has significant experience in this area and we’re available around the clock to answer your tire questions. To learn more, call us today at 610-991-8641.